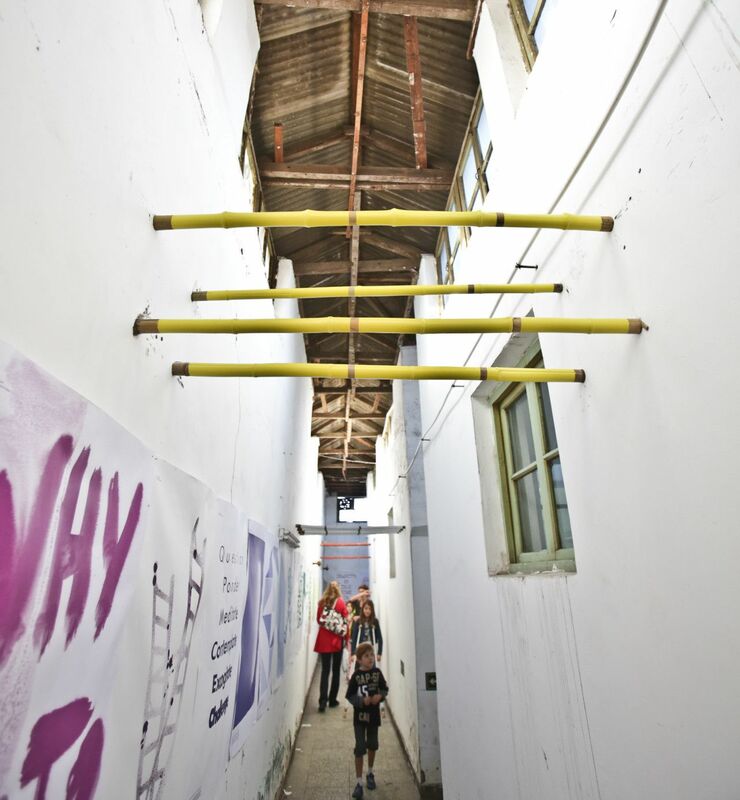 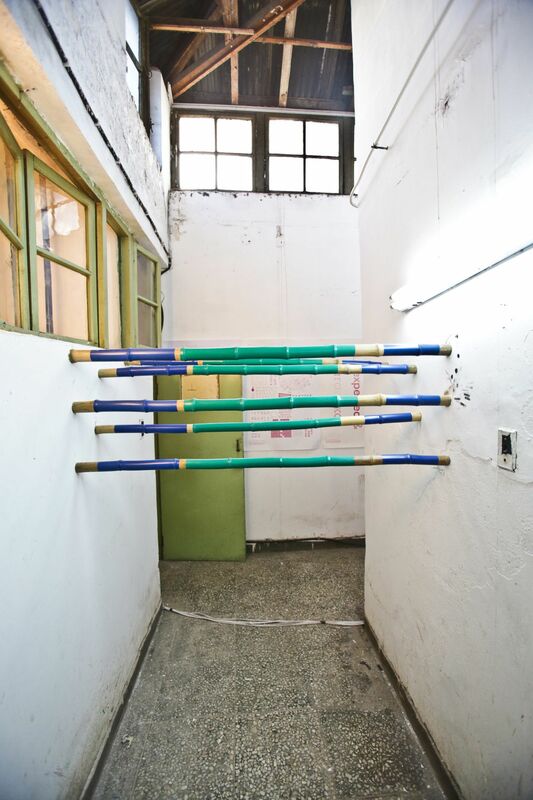 Site-specific work created for the SALON/BJ event during Beijing Design Week 2013. 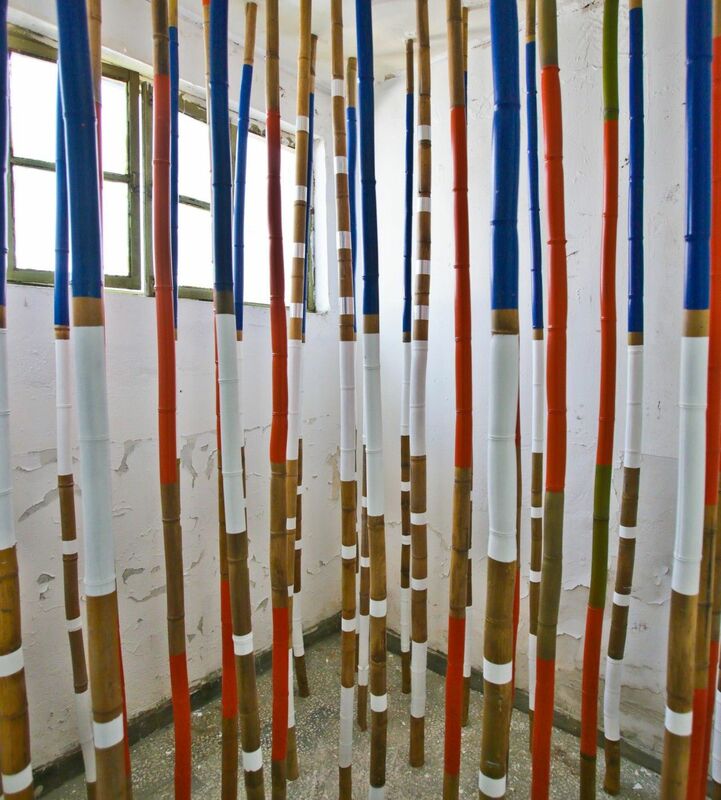 Inspired by Chinese bamboo scaffolding and Mikado, the Installation exists out of 8 groups of bamboo poles of different lengths and numbers. 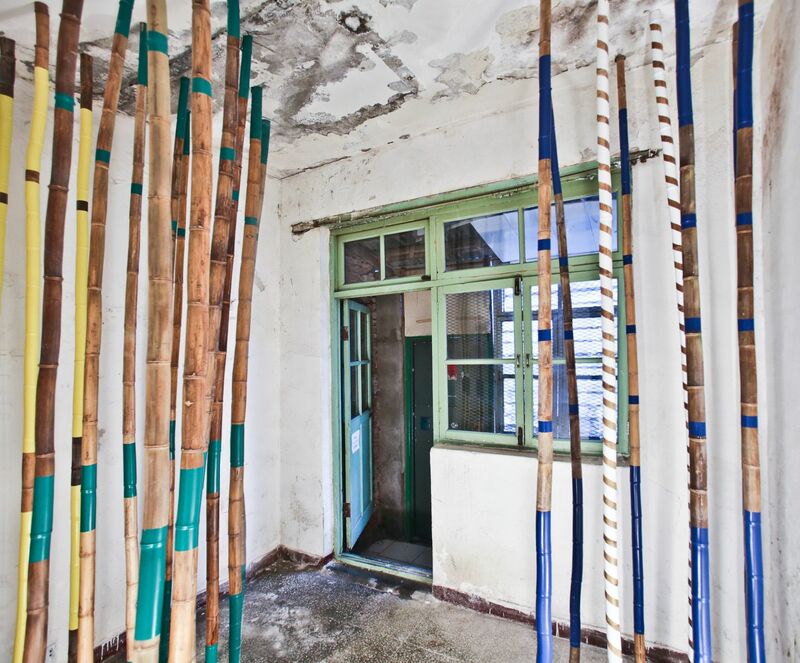 The work is kept in place by pressure; the total of 90 bamboos are stuck between opposite walls or between the floors ad ceilings. 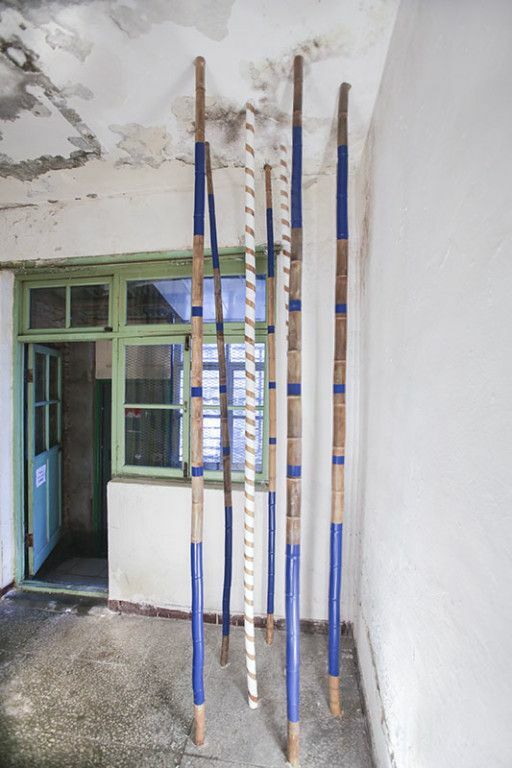 The poles are painted in stripe patterns in the colours blue, red, yellow, green and white. 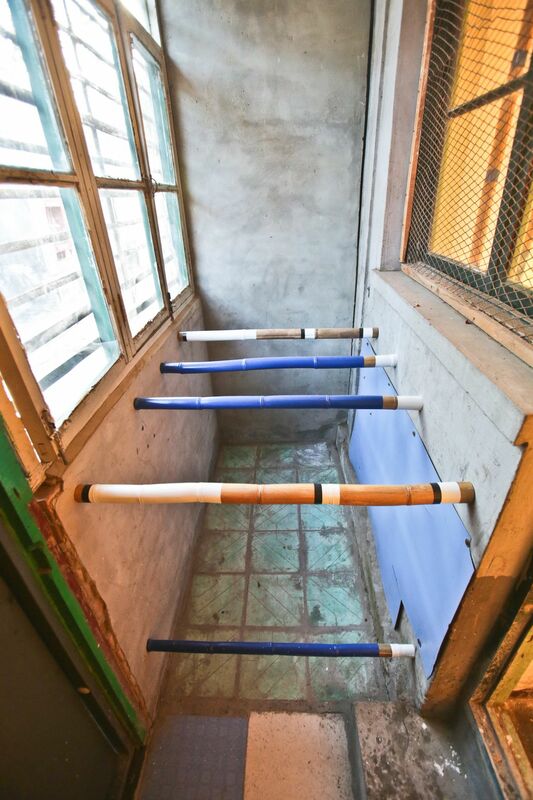 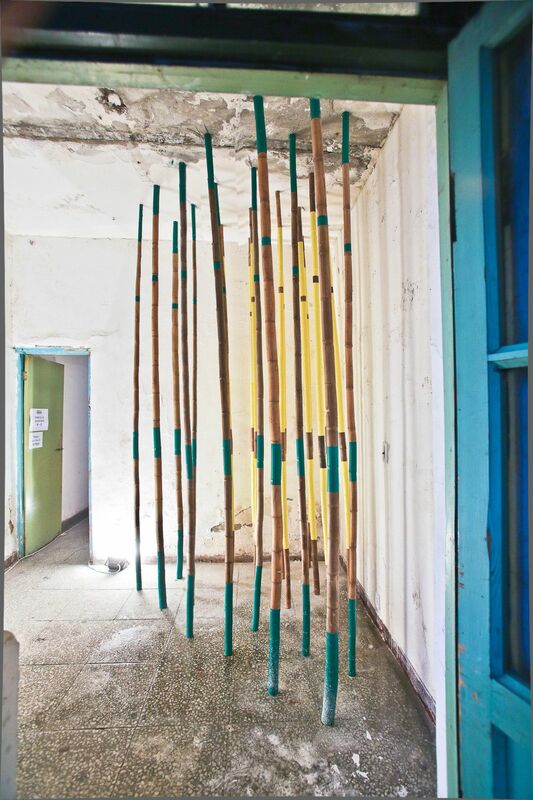 Dimensions: 90 bamboo poles, varying lengths divided over 4 different rooms.